Harry Truman was the 33rd President of the United States and served from 1943 until 1953. 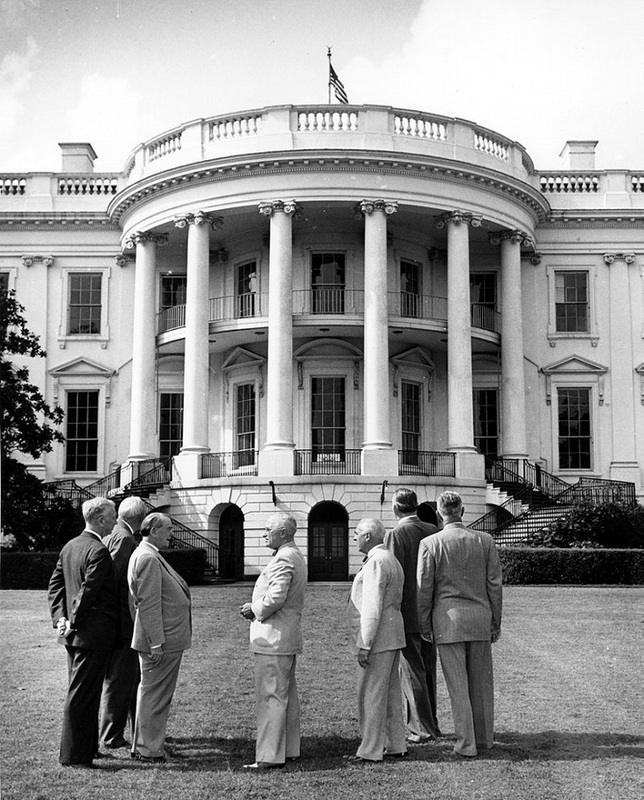 As a president, Truman successfully dealt with many challenges, especially the international. He created the Marshall Plan and the Berlin Airlift, which proved to be very successful and helpful to the war – torn Europe. However, these aren’t Truman’s only accomplishments! He did many other things that made him popular politician, and got him a cover of Time Magazine. Read below to find more about the Accomplishments of Harry Truman. Harry Truman served as President from April 12, 1945 to January 20, 1953. 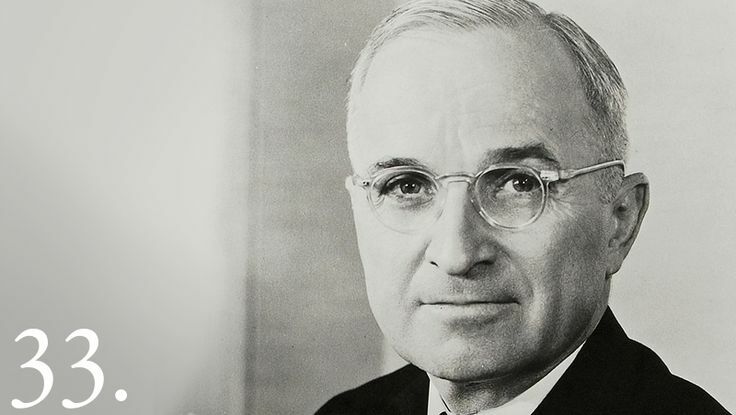 During his time as a President, Harry Truman presented strategies and reforms that helped war – torn economies in Europe, established CIA, NSC and NSA and ended racial segregation in the United States Armed Forces – these are just few of his accomplishments as President of the United States. 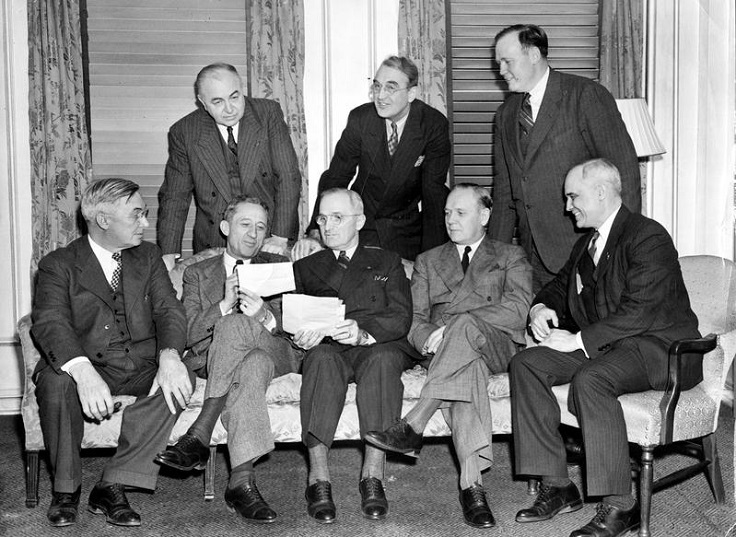 The Truman Committee, known as Senate Special Committee, was formed in order to investigate the National Defense Program by detecting any problems related to the U.S. war productions, such as inefficiency and war profiteering. 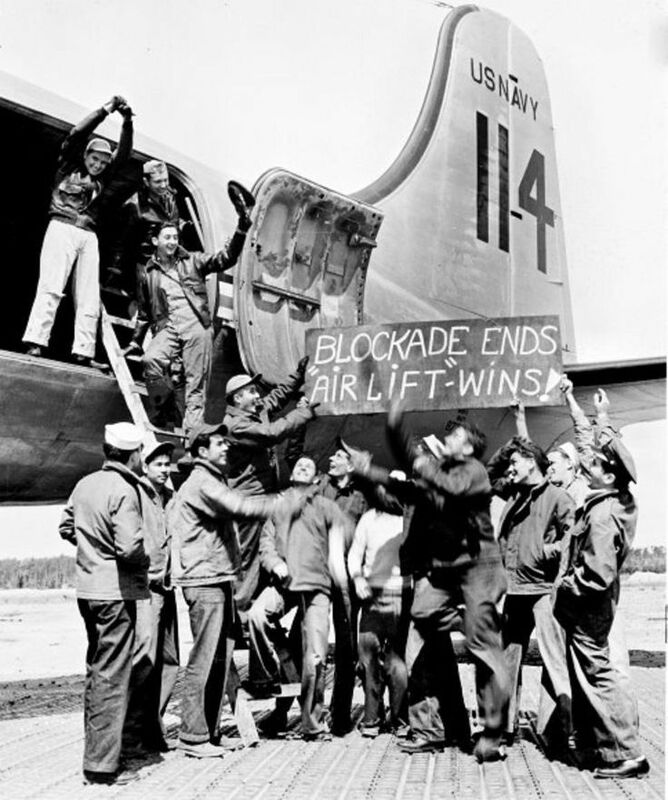 The Committee was very successful, as it found and fixed many problems that saved the Government $15 billion and saved the lives of many servicemen as well. One of the most famous American foreign policies during the time of Truman as President was the Truman Doctrine. 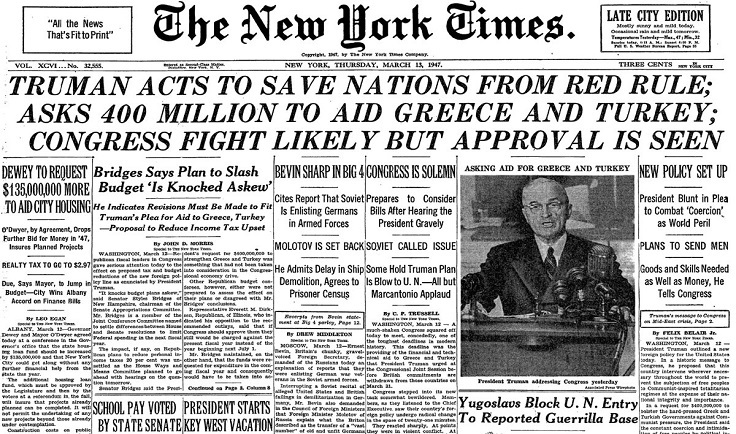 In order to stop the Soviet expansion in the Mediterranean, Truman presented the Truman Doctrine to the U.S. Congress and he received his approval of granting $300 million to Greece and $100 million to Turkey as military and economic aid. This doctrine is considered to be the foundation of the American Cold War policy around the world. The Marshall Plan, or the European Recovery Program, helped 18 European countries to recover from World War II. President Truman signed the Plan in 1948 and the aid of $13 billion was divided on a “per capita” basis, with the UK, France and West Germany being the largest recipients. The Marshall Plan aimed at preventing communism in Europe, modernizing the industry and removing trade barriers. Another successful foreign policy of Truman is the Berlin Airlift, with which the U.S. led and organized the Western Block to deliver food and other supplies to the people by air. There were more than 200.000 flights and it helped West Berliners each day for one year. The Berlin Airlift made the Soviets to remove their blockade, so that the people can go on with their everyday lives without the U.S. help. 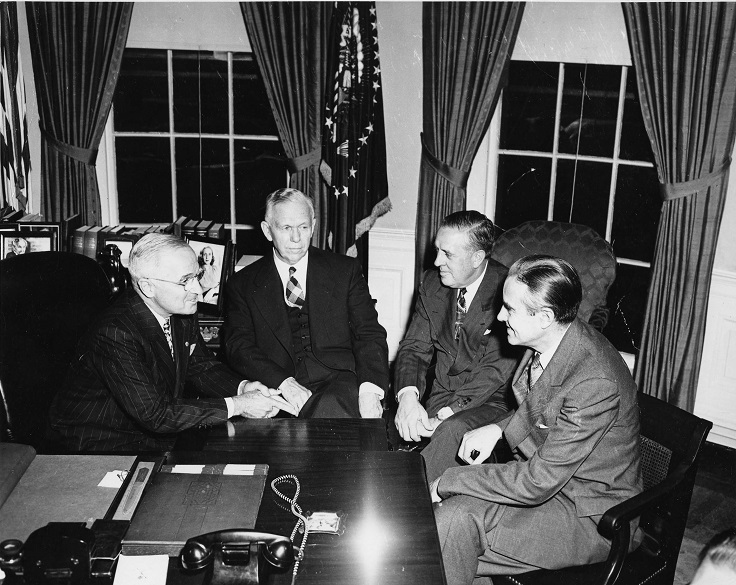 After the signing of the National Security Act of 1947, President Truman formed military and non – military agencies and reorganized the already existing. The Act established National Security Council (NSC), Central Intelligence Agency (CIA) and National Security Agency (NSA). The NSC has aim of helping the president on national security and foreign policies; CIA gathers national security information from around the world and NSA gathers foreign signal and communications intelligence in order to protect the national security systems. President Truman wanted to reduce the discrimination against African – Americans, but he couldn’t completely do it because of the power of the Southern Congressmen. 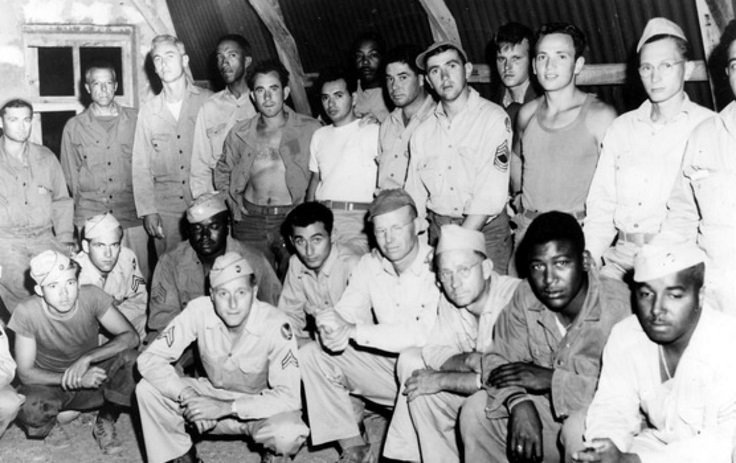 However, in 1948 President Truman issued Executive Order 9981 with which racial segregation in the U.S. Armed Army was forbidden. The same year, Truman signed into law the Women’s Armed Services Integration Act that allowed women to serve as regular members of the armed forces. In 1946, Truman signed the United Nations Charter, the foundational treaty of UN. The President was always a supporter of the creation of United Nations and he also supported a creation of formal peacetime military alliance among the Western Block. That’s when the U.S together with Canada and few European countries established the North Atlantic Treaty Organization (NATO). The aim of the organization was to form security structures in support of democratic ideals and to control the Soviet expansion. The Housing Act of 1949 granted federal money for the building of more than 800.000 public housing units and it increased the authorization for the Federal Housing Administration (FHA) mortgage insurance – to name just few of the aims of the Housing Act. Thanks to this act, the post – war American cities started to grow into what they are today. During and especially after World War II, many Europeans decided to move into the United States in their search for better lives. 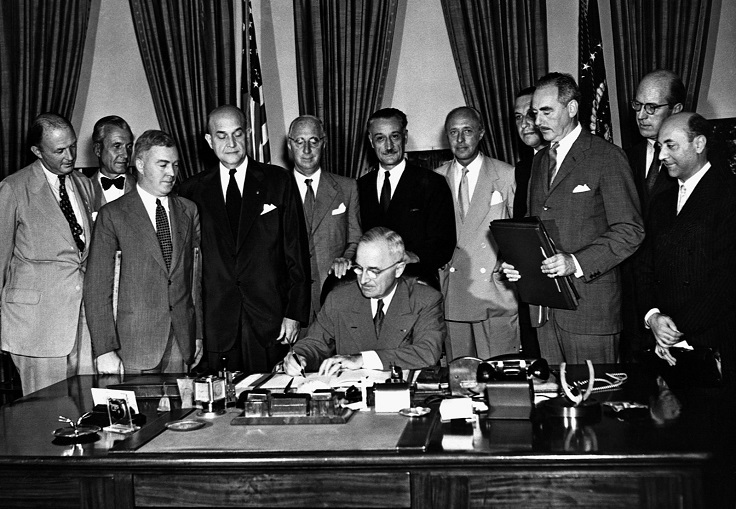 Lucky for them, in 1948 Truman signed into law the Displaced Persons Act, that allowed more than 200.000 Europeans – including 17.000 orphans – to live in the United States.